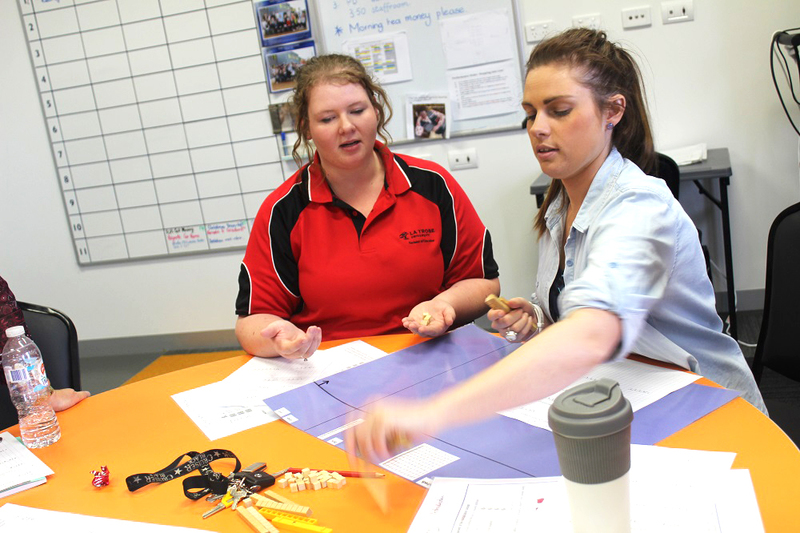 La Trobe Education student Jillian Brierley works with teachers at Golden Square Primary School. La Trobe Education student Emma North. You’d think the last two weeks of primary school would be spent in a weary tangle of paperchains while waiting for that final bell. But not so at Golden Square. 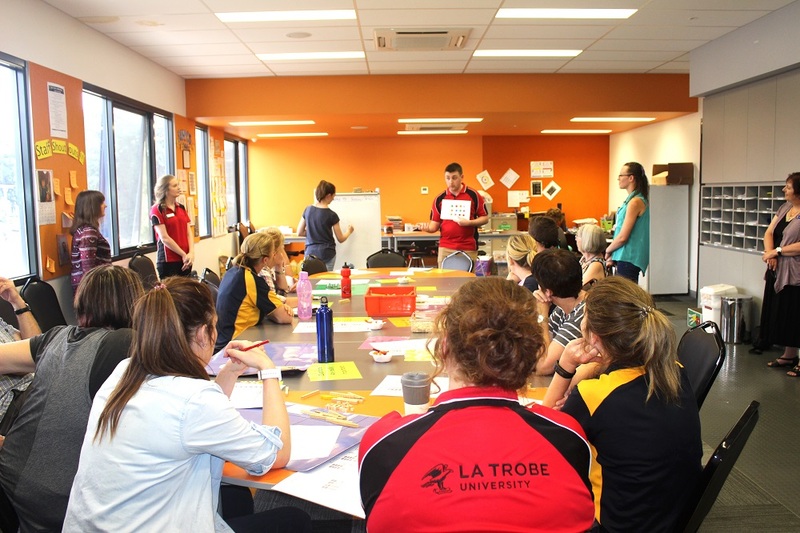 Thanks to a group of volunteer La Trobe education students, the teachers here are seeing out the year immersed in maths. If addition and subtraction, multiplication and division usually fail to float your boat, you need only spend some time with these six La Trobe students. They’re passing on current best-practice methods of teaching that banish the myths around maths anxiety. 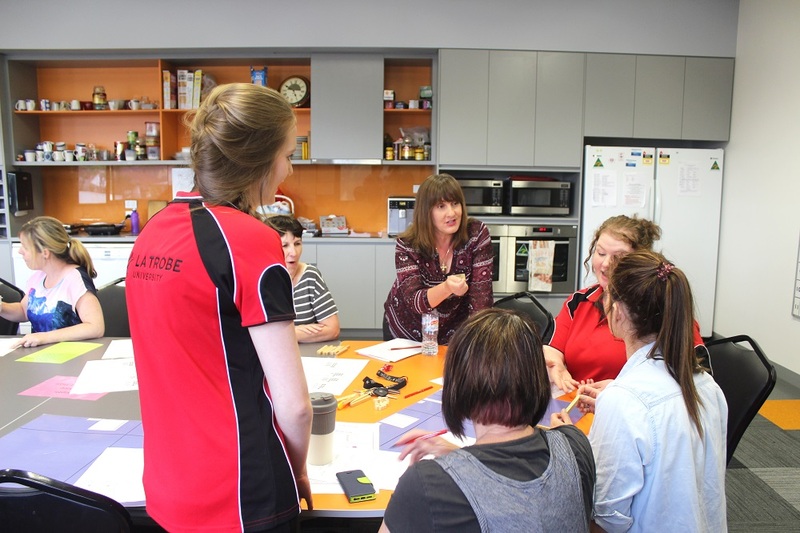 La Trobe Mathematics Education lecturer Tina Fitzpatrick said everyone can experience success in maths, they just need to be shown how. Tina’s classes are based around the psychology of growth mindset versus fixed mindset, and banishing the internal monologue that we are stuck with a limited ability to learn a certain topic. 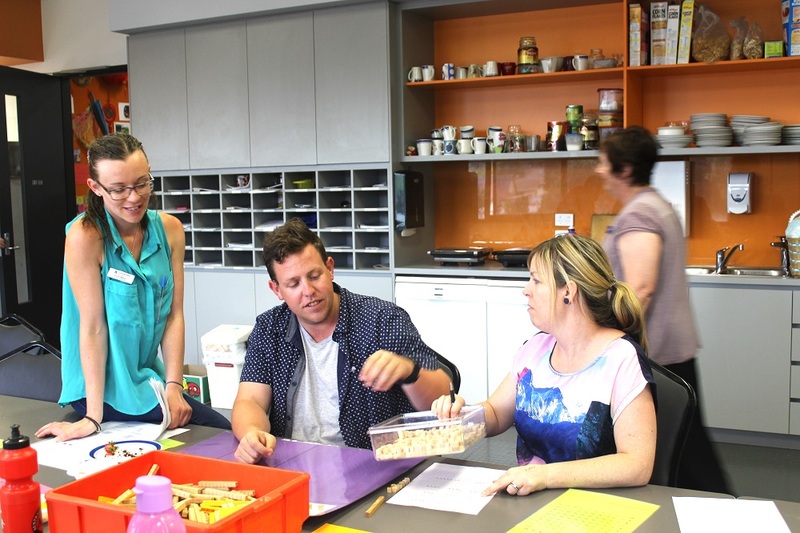 “If people have had poor experiences with maths in their past, we feel it is our job to help break the negative cycle so our students can go forth and lead the way in maths education,” Tina said. 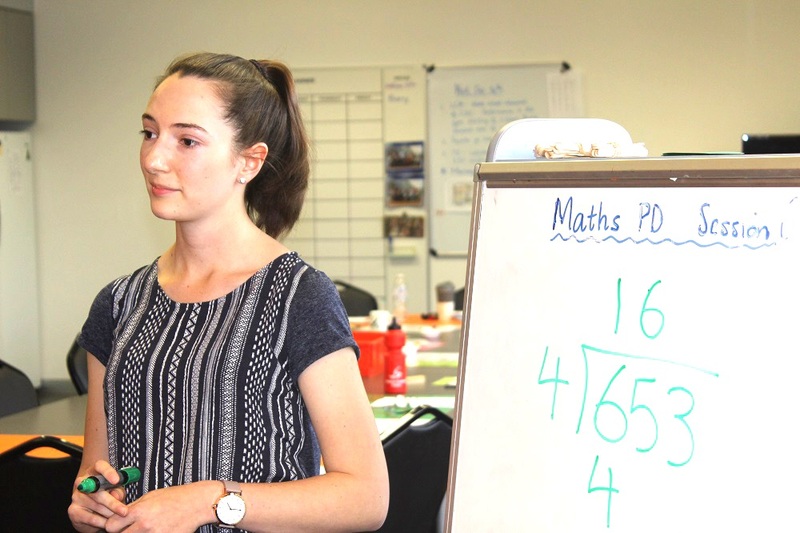 Case in point have been these two one-hour professional development sessions, developed and delivered by Tina’s maths converts, such as student Jillian Brierley. Merrill said December was certainly not a traditional time to engage teachers in professional development, but this was an opportunity not to be passed up. 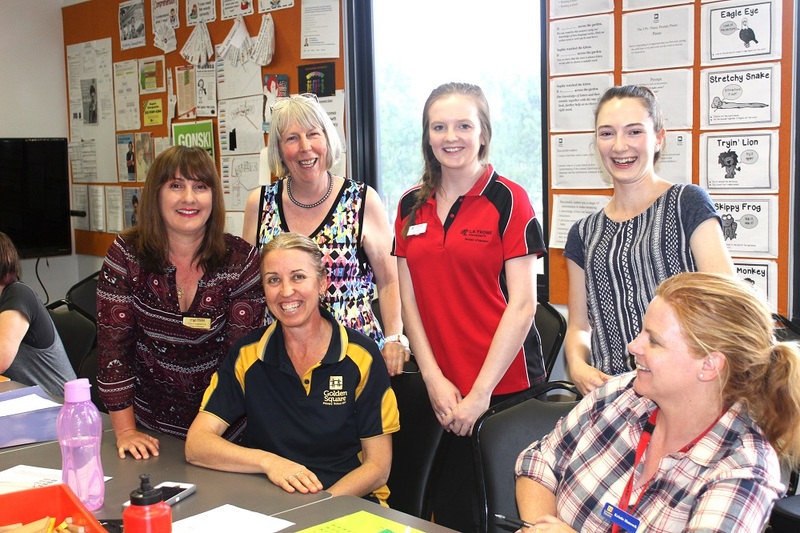 As well as Jillian, Tina’s team of volunteer students going the extra mile to pass on their new-found love of maths are Abby Hansen, Anthony Davies, Kayla Hore, Kylie Lindstrom and Emma North. “It’s a great networking opportunity for them and it shows young people in an undergraduate course can really show some cutting edge teaching methods,” Tina said.